Spring 2014, where are you? Ugh! I can’t wait to take a long walk without a winter coat and feel the sunshine on my face. 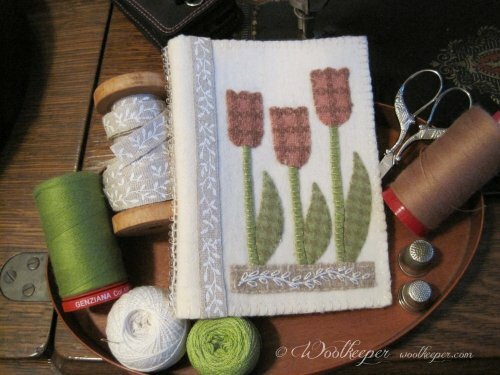 Until then, we will be making our own springtime here at Woolkeeper. 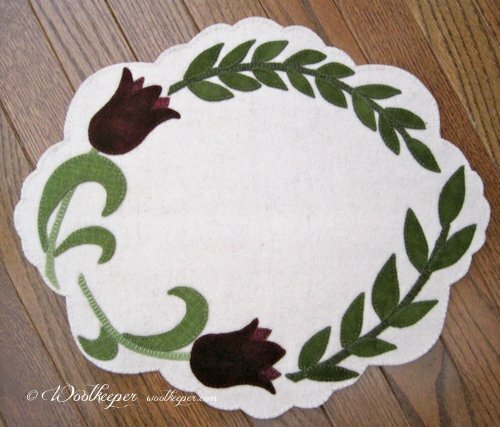 Want a few pieces of wool for your applique projects or to start building a wool stash? 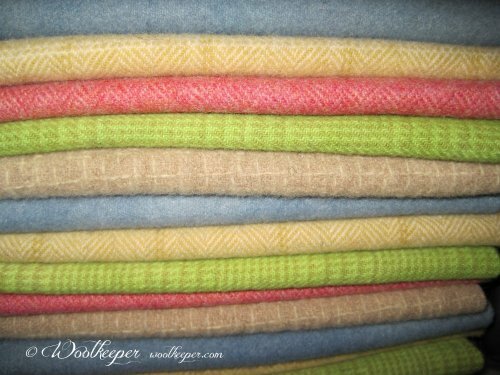 Woolkeeper will be offering wool bundles of various sizes, prices and colors under Stash Builders. The first bundle can be purchased in fat eights (16” x 13”) or fat sixteenths (16" x 6 ½”) The wool is cut to these sizes after it is felted. This spring group includes a hand dyed sky blue, a sunshine yellow herringbone, a hand dyed lime green houndstooth plaid, a rich darker pink herringbone and a wonderful tan texture that’s the color of coffee and cream. The wool is washed and felted for you. 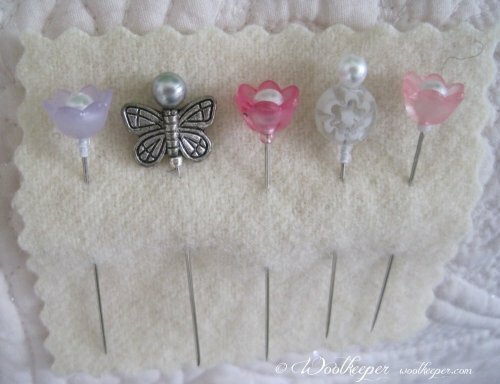 For the ladies who are collecting pins, there is a new spring group. It’s Pin Collection #15 Spring. 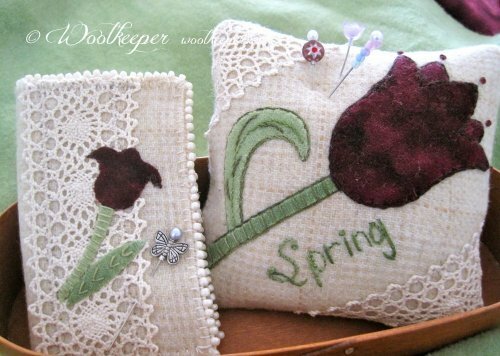 You’ll find three tulip pins, a butterfly pin and a white millefiori bead pin. 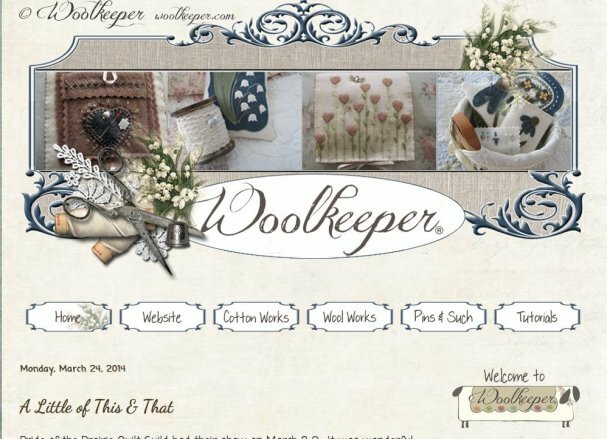 Would you like to see thread on the Woolkeeper site? Drop me a line at Woolkeeper@comcast.net and let me know if you would like to be able to purchase different embellishment threads at Woolkeeper. 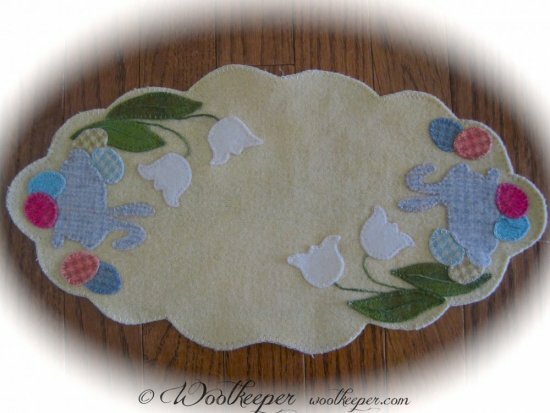 Woolkeeperblog.com has a new post. Would love to have you stop by and visit and sign up as a follower. Thinking Sunshine, Bunnies and Tulips!